WordPress Cloud Hosting with our Leaflet design tools and the convenience of cPanel. Our WordPress cloud hosting includes our exclusive WordPress Leaflet Design Studio and plugins, allowing you to add rich mapping content to your WordPress site. All plans includ everything you need domain hosting, email, unlimited databases, WordPress one-click installation, upgrades and much more. Made a mistake with a file? 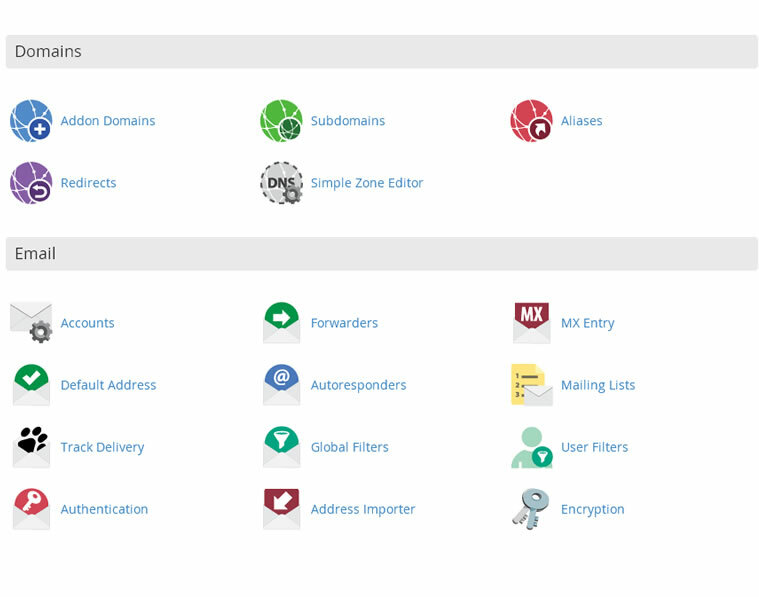 No problem, you can roll back and file, database, or even your entire site via our control panel. Do the WordPress hosting packages contain everything I need? Yes. All of our WordPress hosting plans include everything you need: web, email, unlimited databases, etc... The package contains everything you need to put your WordPress site online. What is WordPress Leaflet Studio? Our WordPress Leaflet Studio allows you to design and deploy custom leaflet maps for your WordPress site via an inuitive UI. Markers, lines, polygons, overlays, infoboxes, CSV, and much more. All maps are called into your WordPress site via a single button click and can be refreshed any time you update a map. A widget is also included. Do I need to install PostGIS? PostGIS can be installed in one click from your control panel. By default, the latest stable version is installed (currently 2.1.x. If you prefer an earlier version or Beta version, simply state so on the order form in the "Order Notes" section. What other extensions are installed with PostGIS ? Our PostGIS installer includes postgis, postgis_topology, postgis_tiger_geocoder, fuzzystrmatch, and address_standardizer extensions. There are also many other extensions that can be installed via your control panel. Do I need a domain name for WordPress hosting? No. If you prefer to use one of our free sub domains you can do so. You can also use any existing domain you own, purchase a new domain (through us or through any domain registrar), or point a sub domain at our server (e.g. geo.mydomain.com). I have a domain hosted elsewhere and just want to point a sub domain at my PostGIS database. How do I do this? We have been hosting since 2006. The company began in London as Application Outsource UK, which later became Enciva LLC. We currently provide hosting service to individuals, businesses, academic and research instiutions, and goverment agencies in over 40 countries worldwide. AcuGIS WordPress Cloud Hosting is a complete hosting solution, containing everything you need. Our WordPress hosting contains everything you need and is ready for use. Our system provisions your service you are online and ready to start building, editing, and serving your web and database applications. Our comprehensive control panel allows you to easily and intuitily manage your domain(s), email, and all facets of your hosting. All of our WordPress hosting packages are complete hosting solutions. In addition to our great GIS tools, all packages include unlimited domain hosting, email, webmail, site stats, and much more. We provide everything you need to put your web presence online. We also provide Enterprise grade hardware and geographically diverse DNS and networking. All tiers of our cloud infrastructe use SSD disks for lightening-fast performance.